Listen to the excerpt on sexual assault policy from the Q&A. 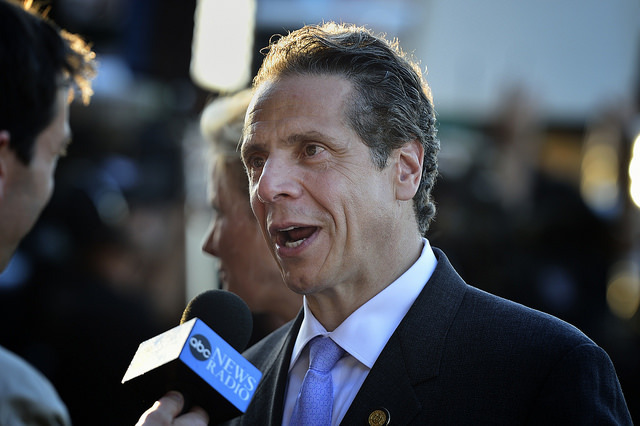 At a Q&A with reporters Wednesday, New York Governor Andrew Cuomo criticized public radio reporter, Karen DeWitt, saying she’s minimizing the issue of sexual assault by asking him what he’d do to address it in state government. Back in November, a woman accused the former head of the state’s economic development agency – Sam Hoyt – of sexually assaulting her. She also said the Cuomo administration knew about it, but didn’t do anything. Cuomo’s lawyer says they investigated it. Wednesday, DeWitt asked Cuomo what he could do differently in state government to “pick up on that.” He didn’t answer, but asked her what she, as a journalist, would do differently, saying it’s a societal issue. Later in the conversation, he told her she does a “disservice to women” for singling out sexual assault issues to state government.